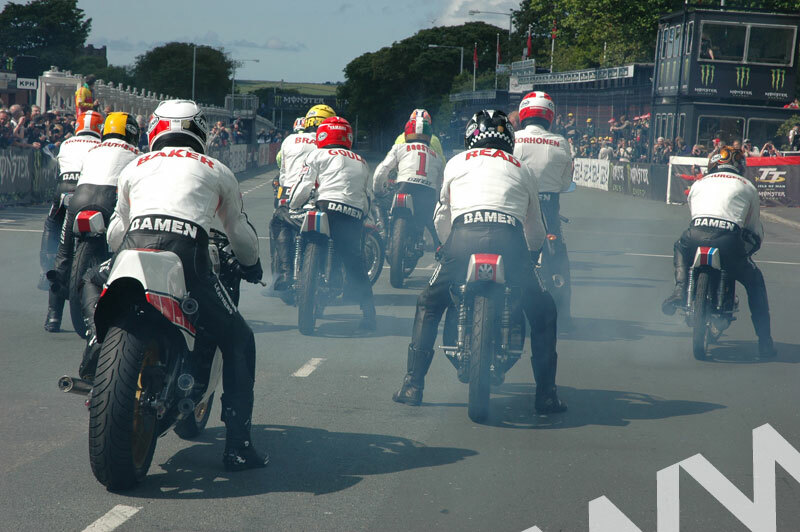 With the exhaust smoke hanging in the air, you can almost hearing the rasping engines of classic Yamaha machinery as it lines up on the Isle of Man TT start line to celebrate 50 years of racing. Agostini, Baker, Carruthers, Read, Mortimer and Gould are just some of the racing legends in this picture - all riders with a connection to Yamaha who jumped at the chance to lap the awesome 37.7-mile TT Mountain course during the 2011 Isle of Man TT to help the manufacturer celebrate its anniversary. This picture captures the line-up just moments before the off.